Thanks to Aerial Application in South Carolina and state-of-the-art innovations in the aerial agriculture field, you are now able to put world-class aerial application services to work in South Carolina. Employ a solution that operates with the same care you exhibit for your own fields, while a professional helicopter pilot makes short work of even the most difficult agricultural challenges. 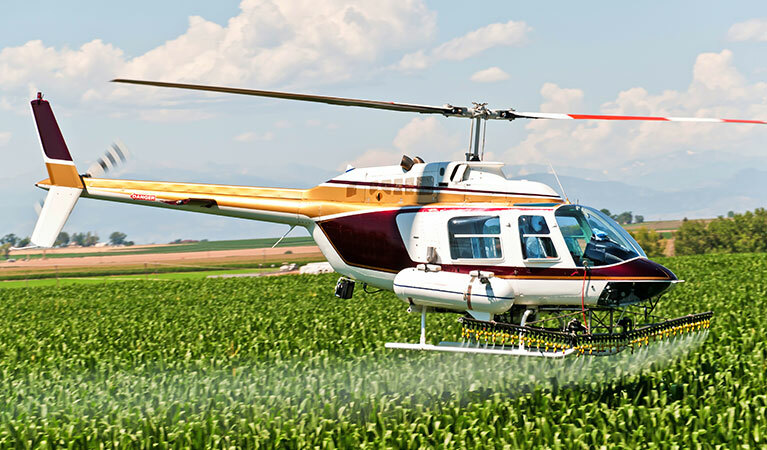 Dedicated helicopter providers can satisfy the complete extent of your agriculture efforts through aerial application services, everything from the application of fungicides and seed sprays, to the fortification of your crops with frost prevention techniques. Welcome to South Carolina, the home to picture-perfect flying conditions and agricultural applications. This haven for agricultural solutions through the air is well-versed in optimized harvesting solutions. Featuring a variety of crop exports, thanks to lengthy seasons for both agriculture and optimal flight, South Carolina regularly sustains its own economy with a healthy provision of crops. Roughly 25,00 farms across more than 4.8 million acres make South Carolina a staple provider of corn, soybeans, wheat and more. Put aerial application solutions to work in the Palmetto State. No matter your budget or your individual preferences with Aerial Application in South Carolina. Aerial application solutions are available in South Carolina, and there’s bound to be a helicopter provider that comfortably accommodates all your needs. Professional pilots expedite agricultural operations for the state’s largest operators; it's time you joined them! Crop dusting endeavors in South Carolina are simplified exponentially, with the installation of an optimized helicopter into the mix. Choppers take to the skies at a moment’s notice, and can perform all the traditional and modern crop dusting endeavors to upgrade your existing standards. 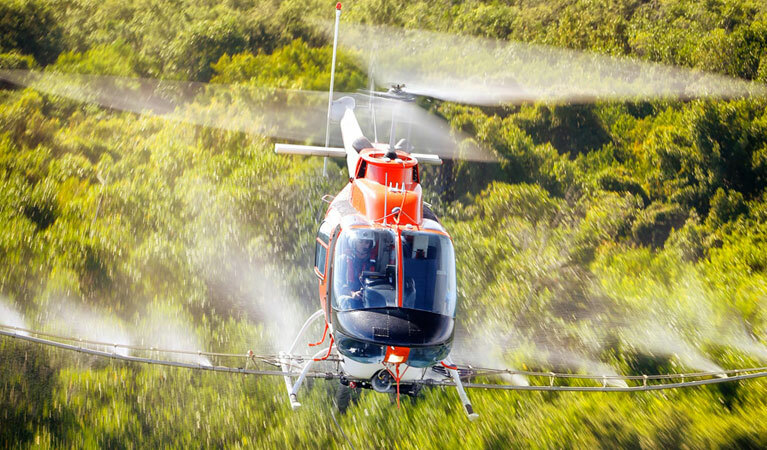 From fungicide and fertilizer applications to the distribution of speed sprays, and even general watering, helicopters accomplish the task in a fraction of the time. Crop dusting has never been easier than when completed by helicopter! It’s time that you outfitted your crops with the sufficient protection they need against insect predators. When mosquitos and other assorted pests threaten the extent of your healthy crops, apply mosquito and pest control applicants easily and effectively for the protection that your fields require. These pests can easily compromise the success of your crops, injuring prospective harvests. Instead, stay ahead of the curve with easily applicable mosquito and pest control solutions, distributed exclusively by South Carolina helicopter providers. Naturally growing inhibitions can also threaten the prospective success of your fields. When it comes to the brush and ends growing right next to your crops, you’re going to want to trust the industry standard. 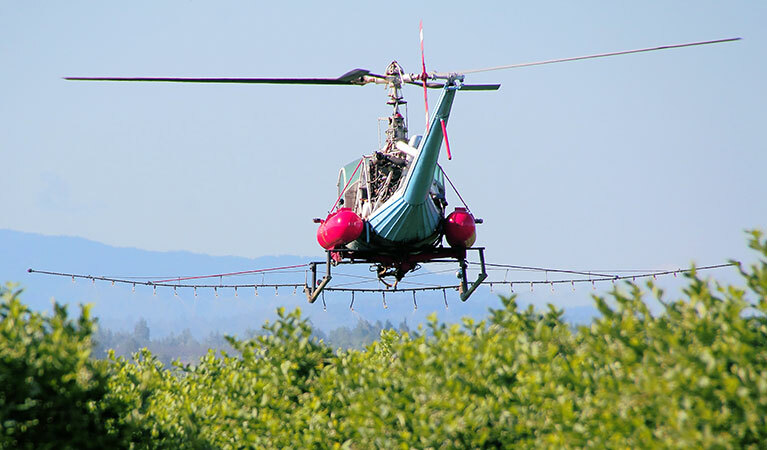 Aerial applicants by helicopter can successfully bolster the strength of your crops against naturally growing weeds, eradicating these threats while leaving all of your crops virtually untouched. Put this cutting-edge weed control technology to good use, through an aerially distributed helicopter applicant. Even when South Carolina experiences less than ideal climatic conditions during the cyclical growing season, there’s a way that you can ensure the survival of your crops against the toughest forces that the elements can throw their way. Instead of fearing the changing of the seasons, frost prevention and treatment operations, provided through aerial application by, can give you the confidence in your crops that you need. Provide your fields with the chemical armor they need to survive growing season. Get in touch with one of our dedicated custom service agents today reguarding Aerial Application in South Carolina, and discover how you can make aerial application solutions by helicopter your own! You can also fill out an online customer contact form, for a response within a 24-hour period.